Single story residence, situated on a corner lot boasting panoramic mountain views of the Crosby & Rancho Santa Fe. The many features of this property present a home of distinction, quality, luxury & comfort. 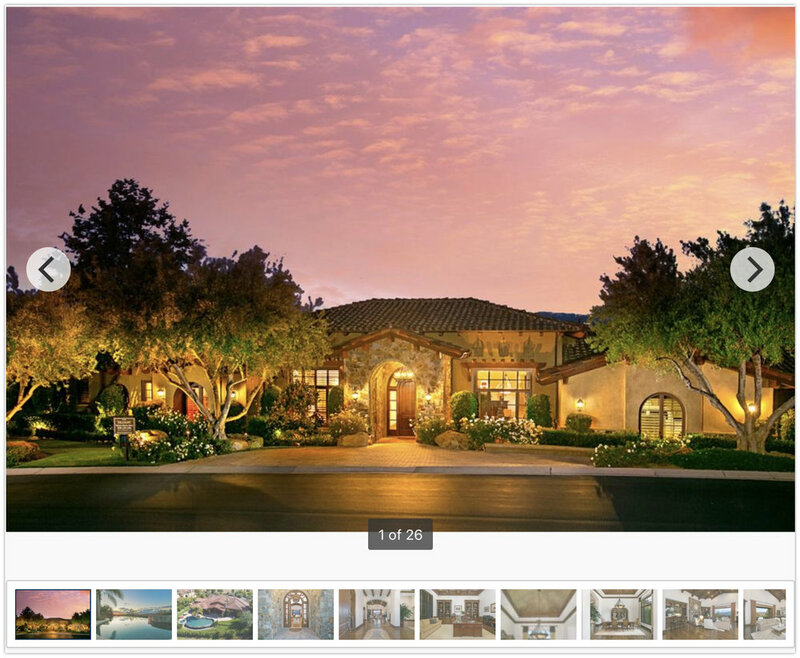 Elegant craftsmanship is evidenced throughout this Danny Hampel estate. The outdoor areas provide the perfect backdrop for entertaining & comfortable family living. Featuring aprox. 6200 sf, 4 beds & 4.5 baths and a home office/den. Spacious open floor plan with marvelous craftsmanship & luxury upgrades throughout. Kitchen is outfitted w/ Thermador & Subzero. Grand master bedroom with glass doors, & 3 very spacious bedroom suites. Pool/spa, 2 built-in BBQ, outdoor fire pit. Perfect backdrop for entertaining & serene family living.